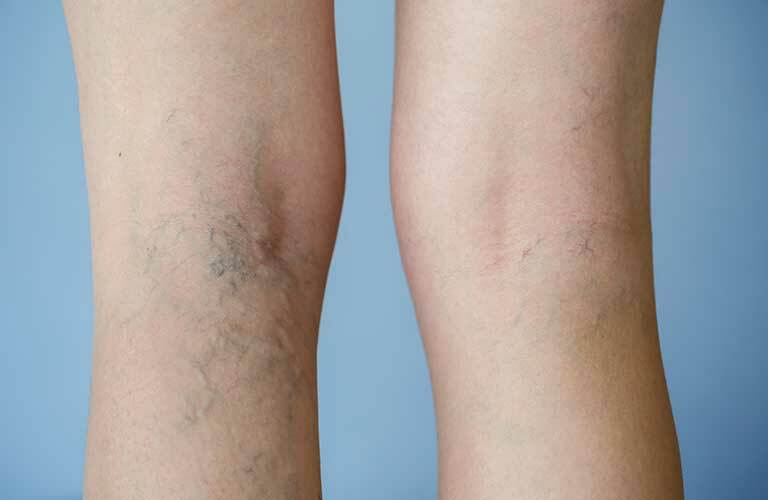 Radiofrequency ablation is a minimal invasive treatment used to treat varicose veins. (Ablation can be described as a physician using heat to create scar tissue by damaging tissue.) 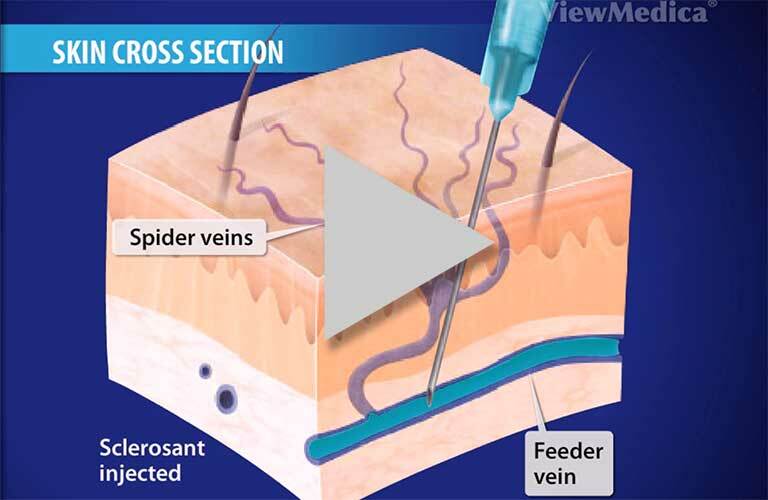 The scar tissue results in a closed vein. Vein Nevada offers the Closurefast procedure for the treatment of varicose veins and chronic venous insufficiency. Rather than laser energy, radio frequency energy is used to heat and damage the internal wall of a vein. 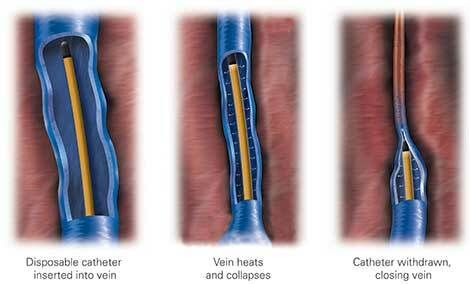 This results in the closing off of the varicose vein in the leg. The radio frequency energy is guided through a small tube (also called catheter) that is inserted through a tiny vein incision. Vein Nevada offers the Closurefast procedure, formerly known as the VNUS Closure™ procedure, for the treatment of varicose veins and CVI. The Closurefast™ procedure is a minimally invasive segmental ablation treatment that utilizes radiofrequency (RF) energy to provide an even and uniform heat to contract the collagen in the vein walls, causing them to collapse and seal. Once the diseased vein is closed, blood will re-route itself to other healthy veins. This procedure can be performed on large veins in the legs in an office setting with local anesthesia. Following the treatment, patients are able to walk and recovery is commonly short. Compression stockings (recommended by the physician) are necessary to wear for at least 1 week following treatment. The physician may use ultrasound diagnostics to ensure the vein is closed. *A comparison of the patient experience between those treated with the Closurefast ™procedure, using the Covidien ClosureFast™ Endovenous Radiofrequency Ablation (RFA) Catheter, and those treated with 980nm laser ablation.